It was a fast and furious weekend that ended all too soon. Caleb and Kelli just departed for home and Bobbie just left for a day of work at Mountain Fever. Other than the rhythmic groan of an overpacked dishwasher, I am left alone in the post-party vacuum of a too quiet house. It wasn't my intention to "go dark" at Brother Dan's dinner table. But you know how it is, one thing (beer) leads to another (beer) and before I know it there's a pile of "guts" on the Lazy Susan centerpiece, and they look a lot like mine. 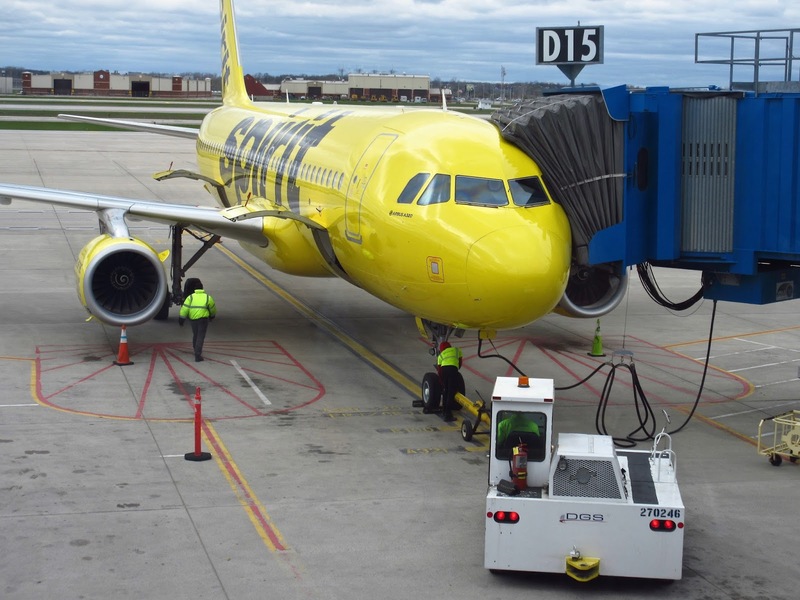 Well now, before setting the BCB's sail for Toledo, let me take a sec to mention that Spirit Airlines is in the headlines again. Funny how when you don't pay or treat your employees worth a damn they don't bother to show up sometimes...and riots break out in airports. It's about time people. Rise up! Reward abuse, deceit, and uncaring corporate behavior by taking your business and money elsewhere, and start by NEVER FLYING Spirit Airlines AGAIN! Now on to more pleasant topics, a trip to Toledo to see kinfolk. Spirit Airlines: The Art of "Fee-Mongering"
Scammed, swindled, schemed, stung...snookered, shafted, snowed, slighted, spoofed...suckered...shell-gamed, and slick-willyed; that's how we felt after flying Spirit Airlines.